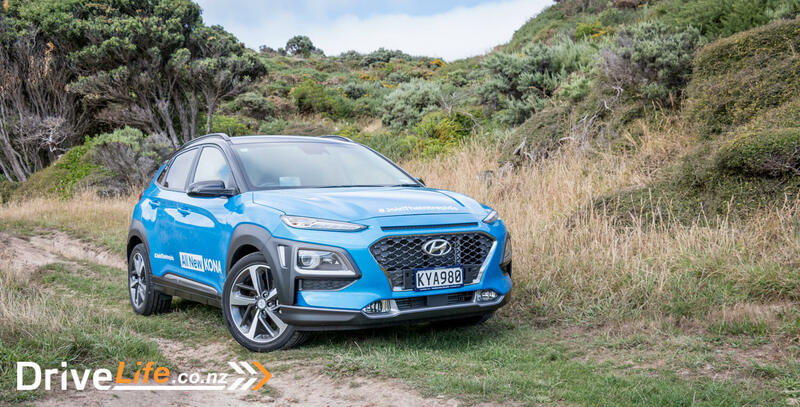 The Kona is Hyundai’s all-new crossover SUV, and you’ve probably seen the ads saying it’s aimed at a group of people who they call “The Intrepids” who like to go on weekend adventures, and value experiences over possessions, but still want a new SUV to get there. Recently I spent a week each with two different models of Kona to see where they took me. There are currently four specs available in the Kona, starting with the 2.0 2WD at $31,990. This is powered by a 110kW 180Nm four-cylinder engine driving the front wheels via a 6-speed automatic transmission. Standard spec includes ABS, EBD, Brake Assist, ESC and traction control, stability management, blind spot warning, rear cross traffic alert, forward collision alert, lane keep assist, driver attention warning, 6 airbags, seatbelt pre-tensioners, auto lights, rear parking sensors, reversing camera, electric folding heated mirrors, manual aircon, half leather seats, and 17” alloys. Move up to the 2.0 2WD Elite for an extra $5k and you add auto high beams, auto dimming rear-view mirror, auto wipers, front parking sensors, LED head and tail lights, solar glass, privacy glass, full leather, 10-way electric driver’s seat and 6-way electric passenger seat, wireless phone charging, heads-up display, keyless entry and start, climate control, auto windscreen defog and 4.2” colour driver info display, and 18” alloys. 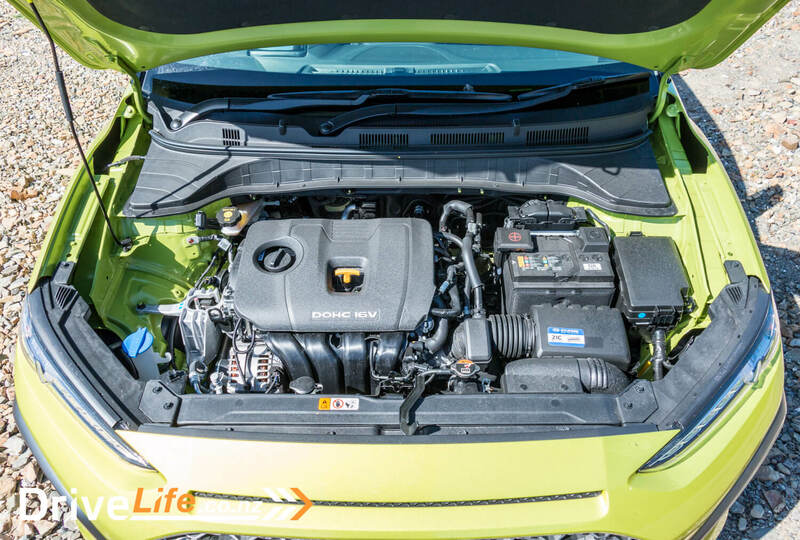 Next is the 1.6t AWD at $36,990 with a 1.6-litre turbocharged GDI 4-cylinder motor producing 130kW and 265Nm, driving all four wheels via a 7-speed dual-clutch transmission. Other than the drivetrain the spec is similar to the above, with the Elite costing $41,990. 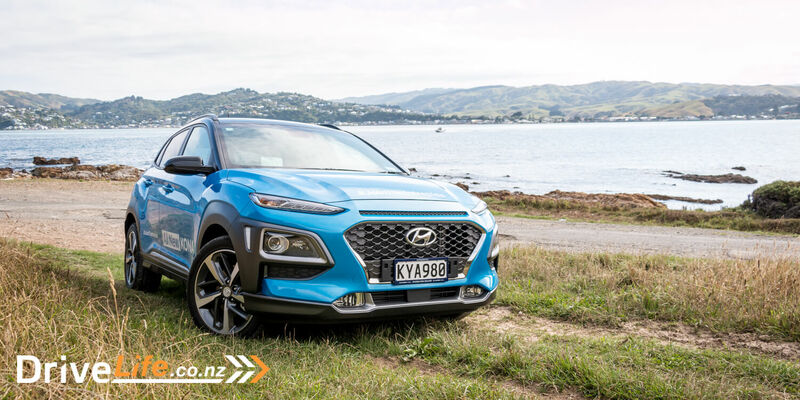 The range of colours for the Kona is excellent, taking a departure from the usual greys to include Tangerine Comet, Acid Yellow, Pulse Red, Blue Lagoon and Ceramic Blue. For the less intrepid there’s Lake Silver, Dark Knight (metallic grey), Chalk White and Phantom Black. I have to admit I’m not normally a fan of crossover SUVs, but in this case I’ll make an exception. I think the Kona is a great-looking car from all angles. I like the modern-style slim headlights with larger fogs underneath. I like the way they’ve carried this over to a similar design at the rear. Even the chunky grey plastic wheel arches suit it well, and I normally hate those. The 18” wheels look great, and I like the black roof and pillars, which contrast with the body and give it a different look to other cars in this class. And the colour options are excellent. 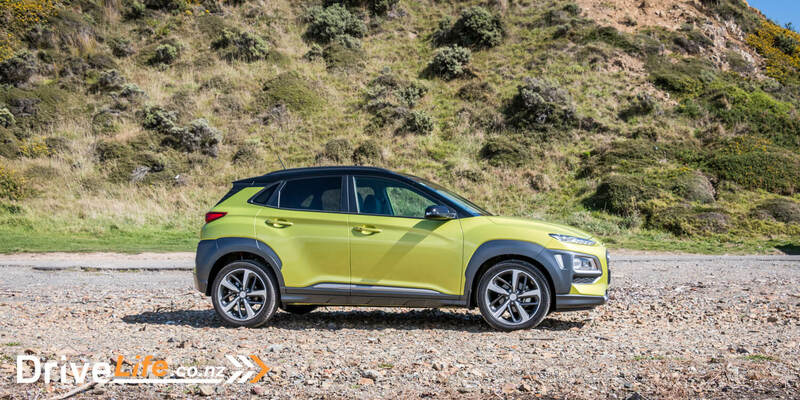 As you’ll know, we like cars to be an actual colour here at Drive Life, and Hyundai have gone all-out, especially with the Acid Yellow on our 2.0l test car. 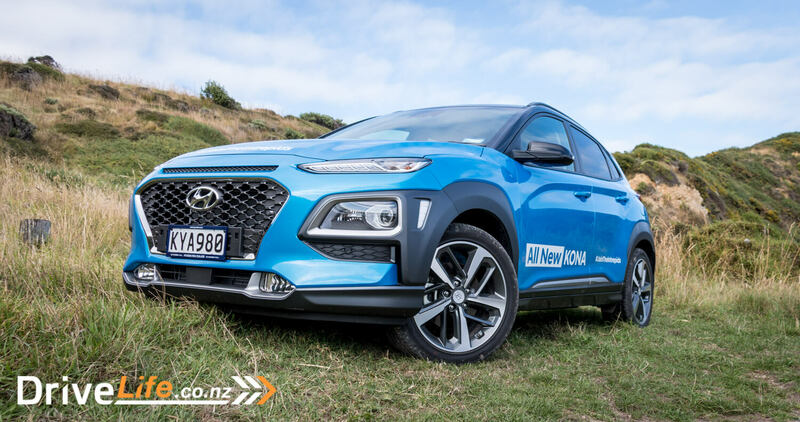 There aren’t many Konas on the road yet in New Zealand, so I had a lot of people walk up to ask me about it, especially in the yellow car. No-one I met had a bad thing to say about the looks, or even the colour. I expected the acid yellow to be a love/hate thing but I only met people who loved it. 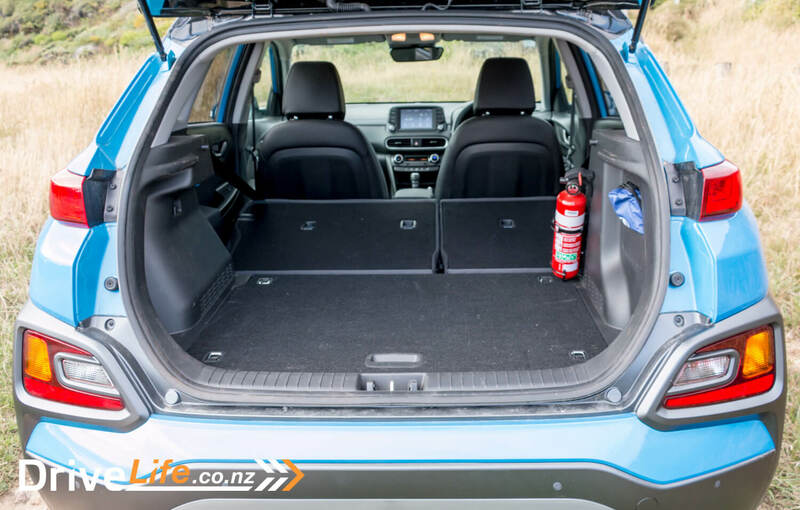 I have to admit the inside of the Kona is less exciting than the outside. 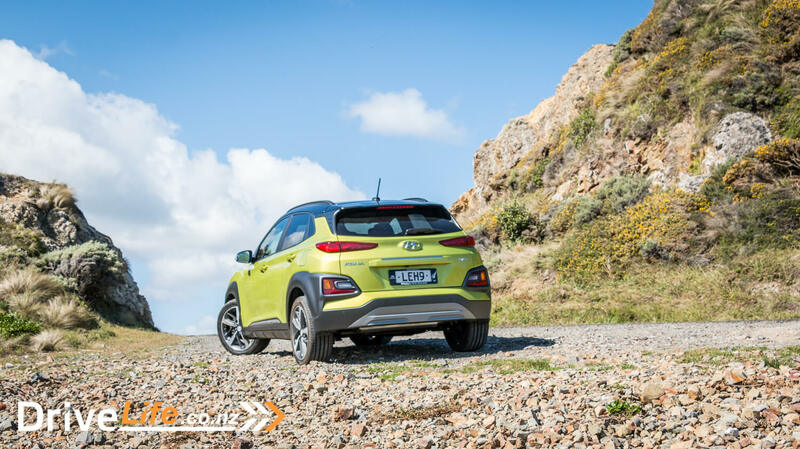 Hyundai have kept things pretty simple here, but that’s not necessarily a bad thing. Apart from the light-coloured headlining, everything is very grey. There are some silver highlights on the dash which help a bit, but they don’t stand out much. The trim in general feels pretty solid but there are some plasticky bits that don’t give quite as much confidence. The seats are clad in dark grey leather, perforated in the centre, and they are very comfortable. Supportive enough, but not too firm. They’re also three-stage heated for those cold mornings. The Elite gives you a 10-way adjustable driver’s seat (6-way electric for the passenger) so it’s easy to find the best driving position. The leather-clad steering wheel adjusts in four directions, and has nicely shaped grippy bits at 9 and 3 where your hands sit. 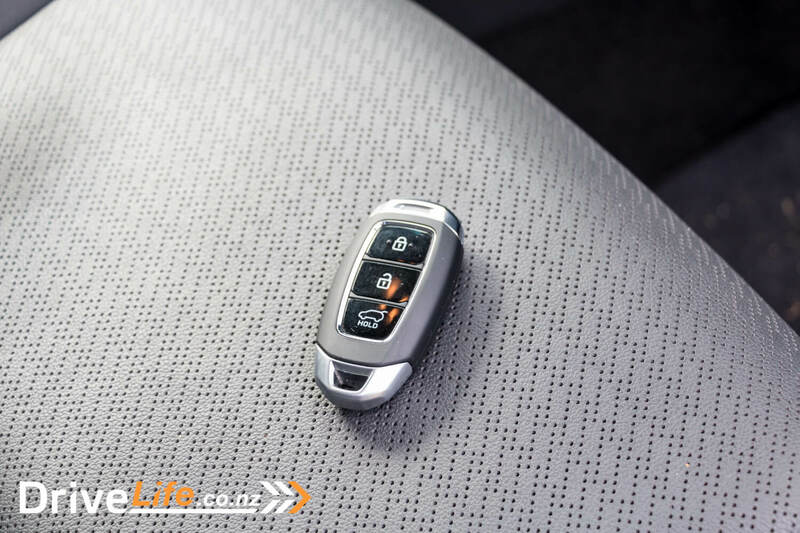 Phone and audio control buttons are on one side, cruise control on the other, and they’re laid out well so they’re easy to use. The instruments are in the familiar style of two large analogue dials for rev counter and speedo with a 4.2” colour central display for trip computer, digital speedo etc. This all lights up in a soothing cool blue colour at night. In the Elite the digital speedo is pretty redundant as there’s a heads-up display which shows road speed as well as blind-spot and proximity warnings. 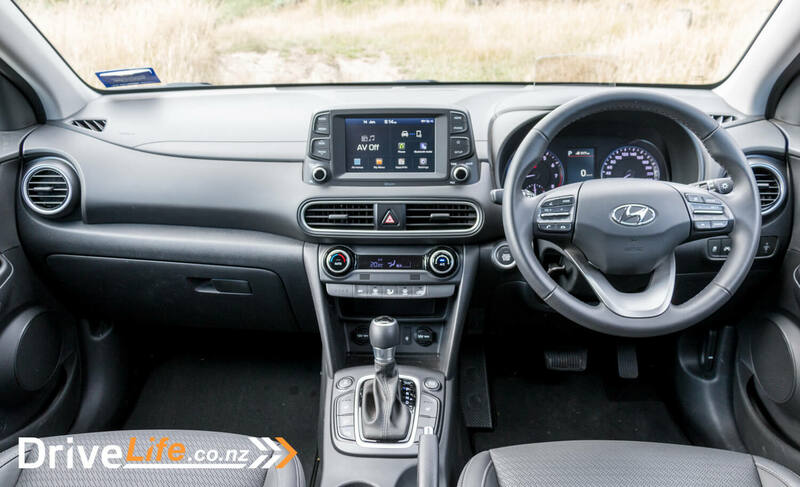 The central 7” touch screen is mounted high, and like several other manufacturers Hyundai have gone for the tacked-on look. The main functions have physical buttons and knobs for quick access, which I like. 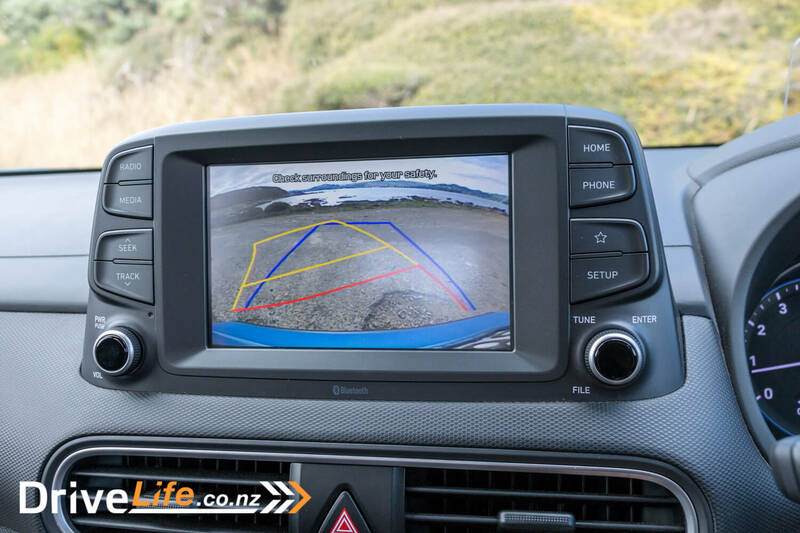 The screen is easy to navigate for various functions and settings, and gives a clear image for the reversing camera. 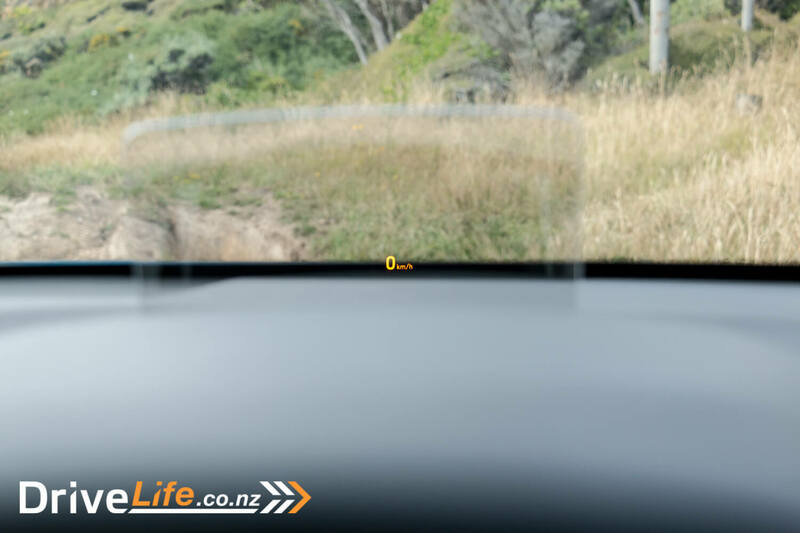 There are moving lines on the rear-view image to help you park, as well as sensors front and rear. Surprisingly there’s no satnav built in, which is a fairly standard thing to have these days. There is Android Auto and Apple Carplay so you can use your phone’s satnav instead. I’m happy to report that Bluetooth pairing with my phone was quick and easy. 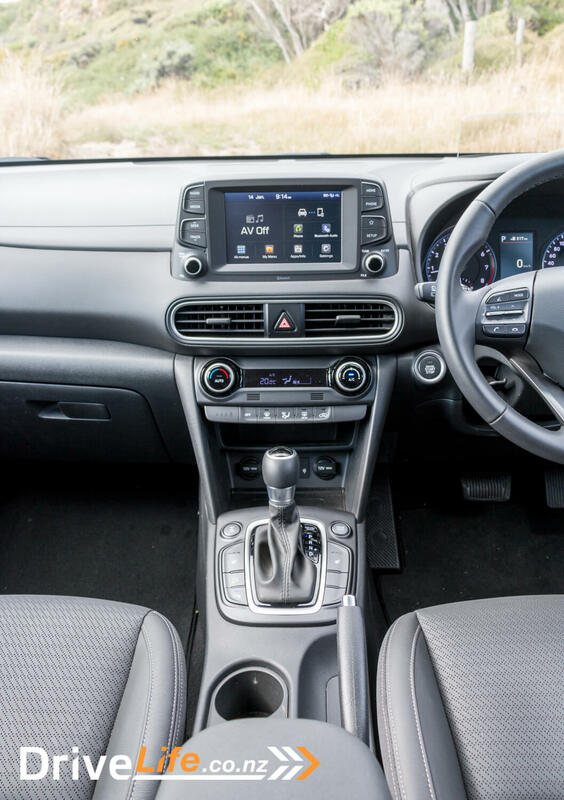 At the bottom of the central dash are two power sockets, as well as USB and aux inputs for the stereo, and a wireless phone charger in the Elite model. The system has six speakers and sounds really good, with good bass and clarity. 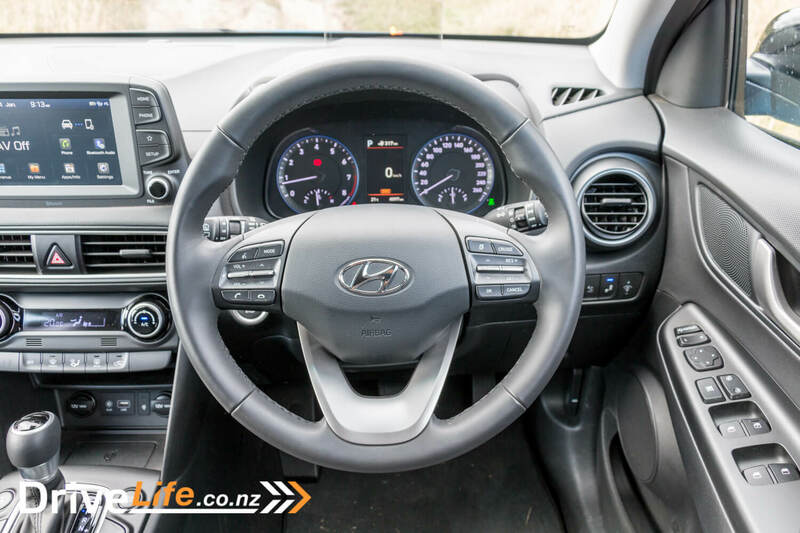 Hyundai do seem to do standard stereos pretty well. 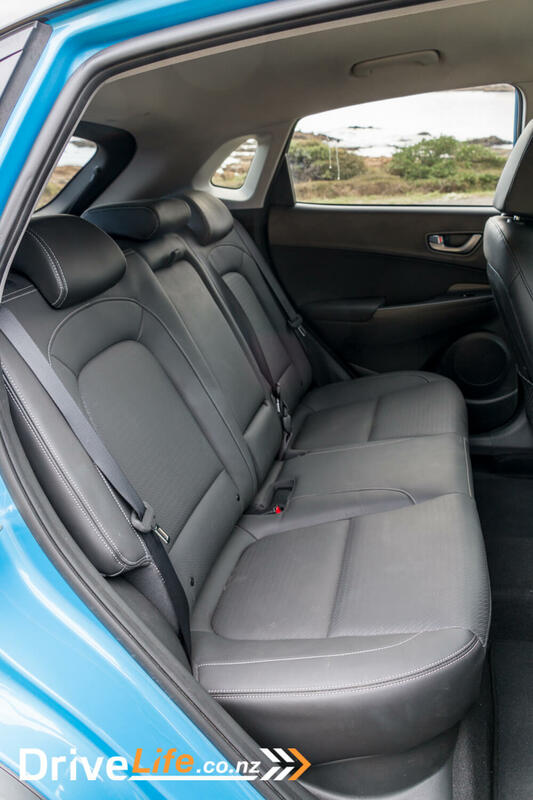 In the rear there’s very good leg room for a car in this class, and the 60/40 split rear seat is comfortable. 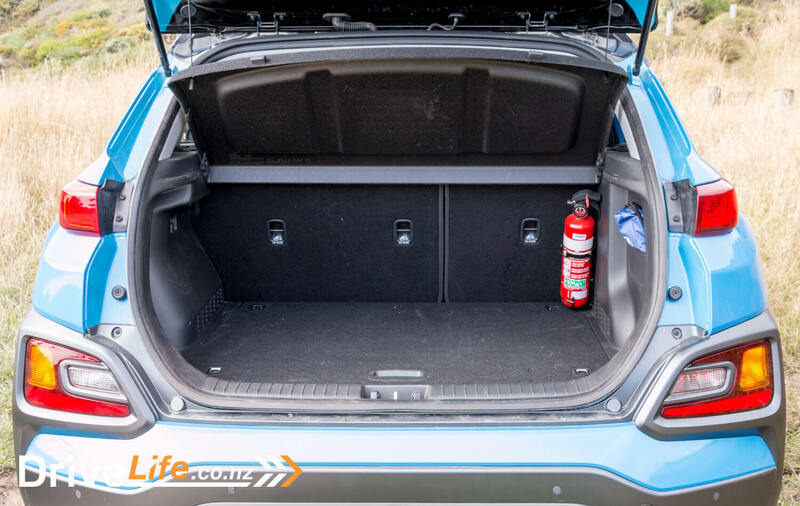 The seat backs fold almost flat to expand the 361 litre boot up to 1143 litres for those bigger purchases. 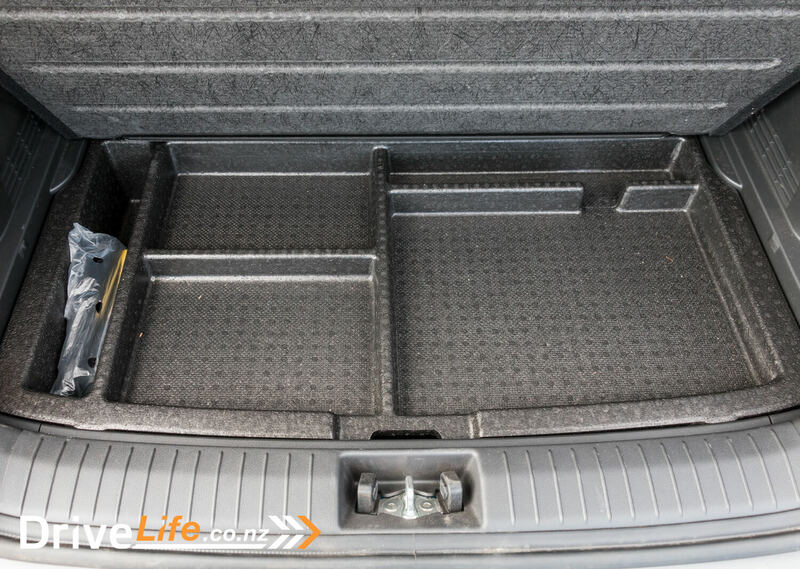 The standard boot is a good size and shape, and there’s a handy storage tray underneath the floor as well. 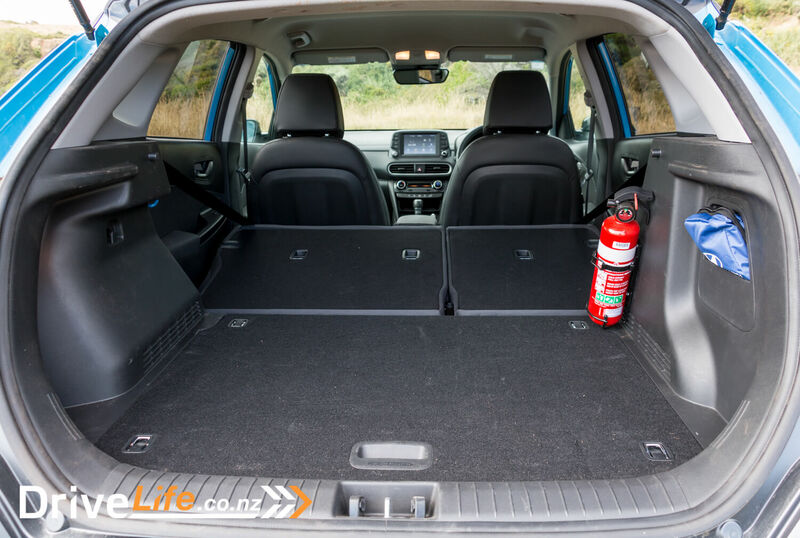 I like that Hyundai include a first-aid kit and fire extinguisher as standard. Probably things you’ll never need but they’re good to have. On my drive home with a review car, one of the things I usually test first is the cruise control. The cruise in the Kona was a bit disappointing. It’s easy to set using the steering wheel controls, but it doesn’t show on the display what speed it’s set to. Surprising in a newly-released car. 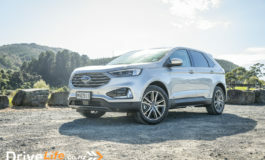 Also surprising in the top-spec Elite is that adaptive cruise isn’t included, given that the car has some pretty advanced safety tech already such as active Lane Keep Assist and Forward Collision-Avoidance Assist (auto braking if it detects an obstacle). On the motorway, the Kona is a pleasure to drive. 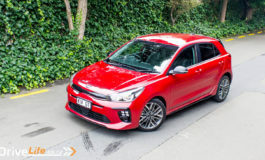 There’s a bit of road noise on the rougher roads that New Zealand has to offer, but the ride is good, soft enough to take care of bumps well, but not too soft. On twistier back roads, the softer suspension gives some body roll on corners, but not too much. I liked the way the Kona felt to drive. It’s hard to put my finger on exactly why, but it has a more European feel than other cars of its type, and in my book that’s definitely a good thing. It’s great around town too, and that tiny 5.3m turning circle makes negotiating narrow streets a breeze. There are three drive modes: Eco, Normal and Sport. 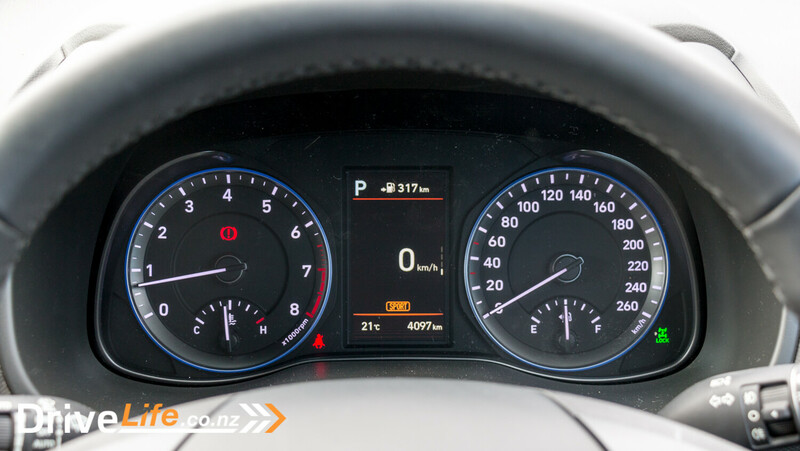 In a lot of cars, Eco mode just dulls the throttle to stop you accelerating as hard. 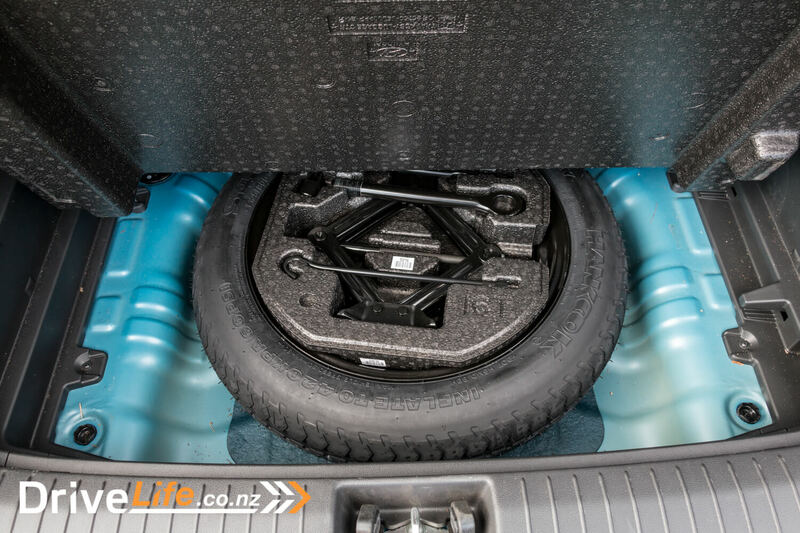 The Kona’s Eco mode does do this but not as much as other cars, making it less irritating and more likely to be used. Sport mode, as you’d expect, sharpens the throttle and holds the gears for longer when accelerating, making the car that bit nippier. 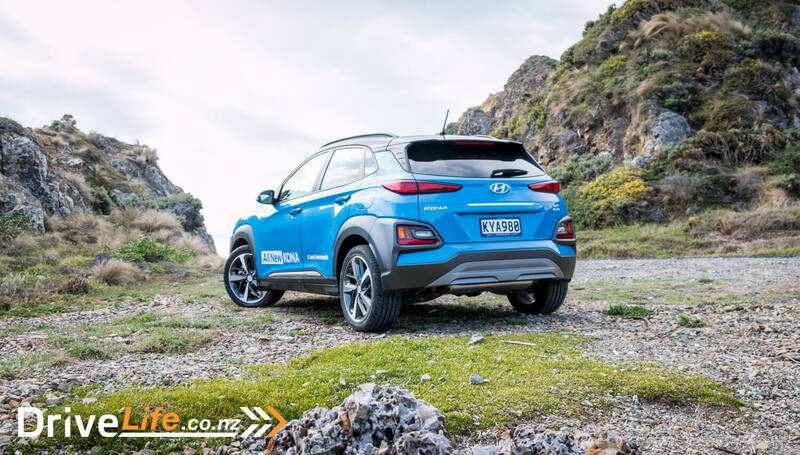 The Kona isn’t an off-roader but it has a pretty good 170mm ground clearance, and the AWD version has a couple of features to get you out of a muddy field. There’s hill descent control, and a lockable differential, which could get you out of a sticky situation. In general use, either engine is good, but if you want to have a bit of fun the 1.6t is definitely the better engine choice. 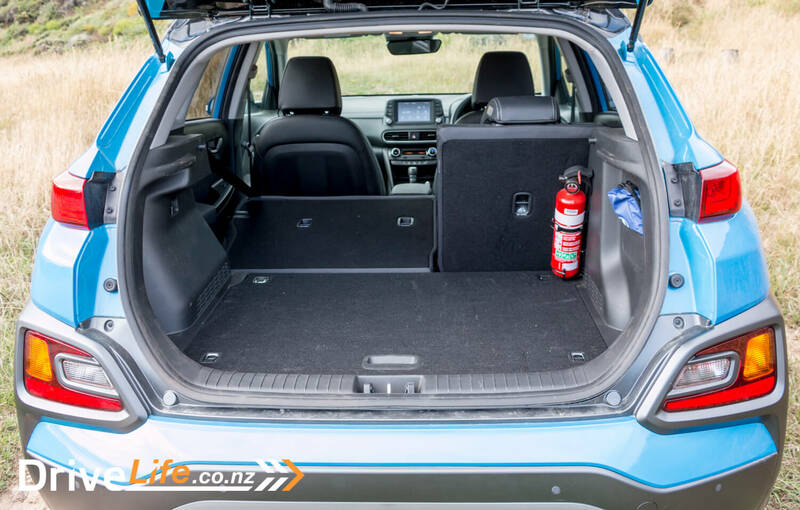 The 4WD version is around 200kg heavier than the 2WD, but the extra 20kW of the turbo engine offsets that. Then there’s the fact it has almost 50% more torque, plus an extra gear to really pep things up. 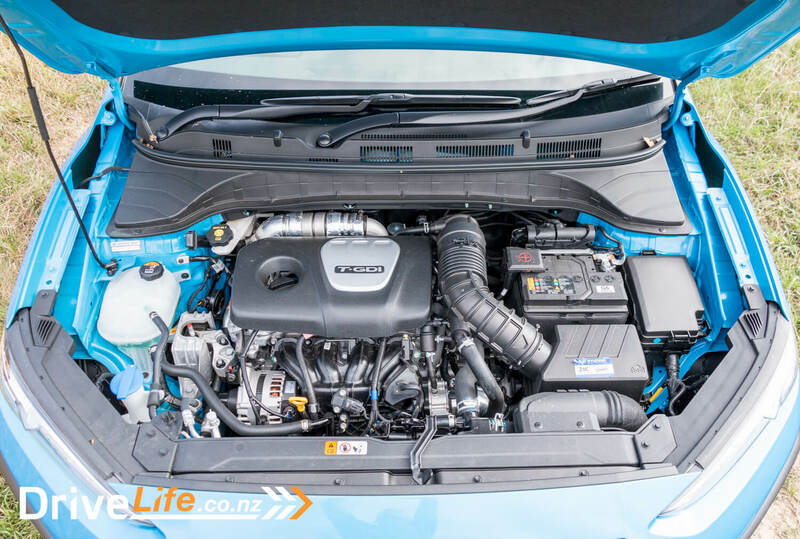 I wouldn’t say the 2.0l is under-powered but it can sometimes feel like it needs to drop down a gear where the turbo engine’s extra torque means it wouldn’t need to. I found the Kona to be really good to drive. Other Crossover SUVs that I’ve driven have all left me with an overwhelming feeling of “meh” but the Kona is different. 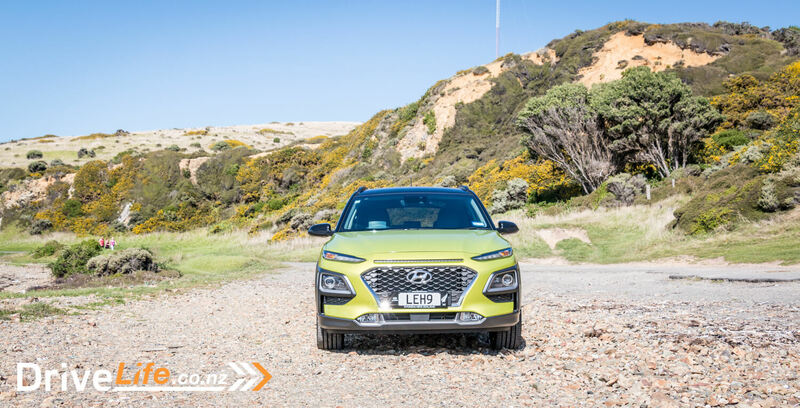 Someone at Hyundai has realised that these cars can be fun as well as practical, and has let the engineers inject some of that fun into the driving experience. This is especially the case with the turbo version, which feels really nippy and has enough go to put a smile on your face. I enjoyed the Kona more than I have any other crossover SUV. 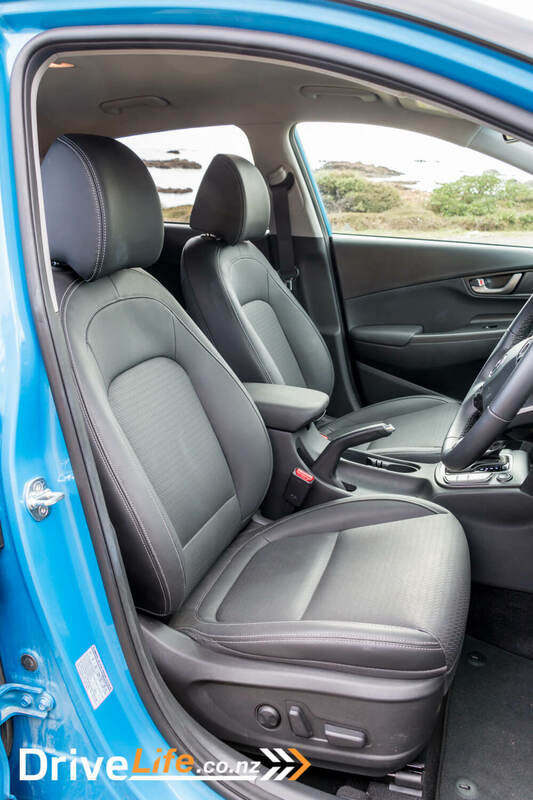 The driving experience and performance are good, it’s comfortable, and has plenty of equipment. There’s lots of interior space, and it looks great. It was definitely a popular car with everyone who saw it. There are a couple of things I wish it had, namely smart cruise and satnav. It feels like Hyundai have gone all-out on the safety tech and not quite had enough budget left for a couple of extra driver aids. This is no bad thing of course, as it scored very highly in the ANCAP safety tests. 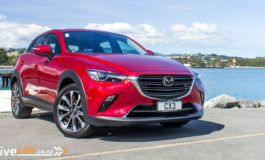 So in short – it’s a great little car, which you should definitely test drive if you’re looking at a crossover. The 2.0l version is good, but if you’re a driving enthusiast the 1.6t is definitely the one to go for. 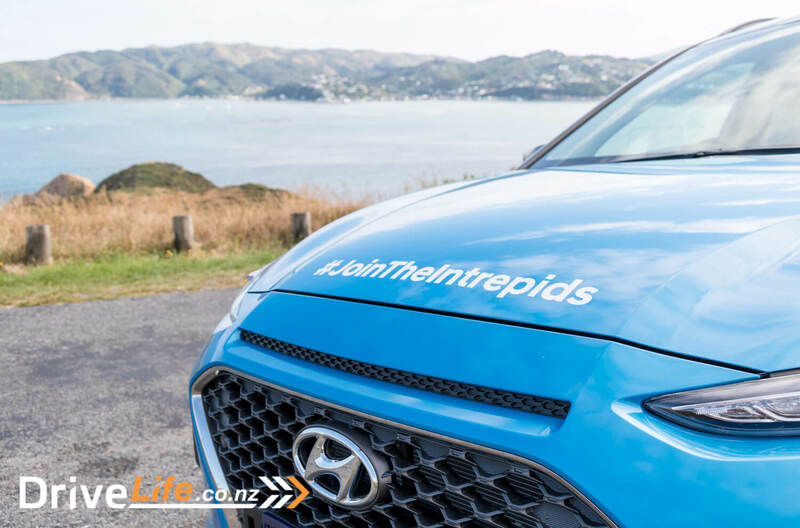 BTW, just wondering where did you take the photo of the yellow Kona at a hill top with the Kapiti Island in the background, the photo just before the spec table. Hi Joe, my apologies I replied to you but it hasn’t published. Thanks for your comments. 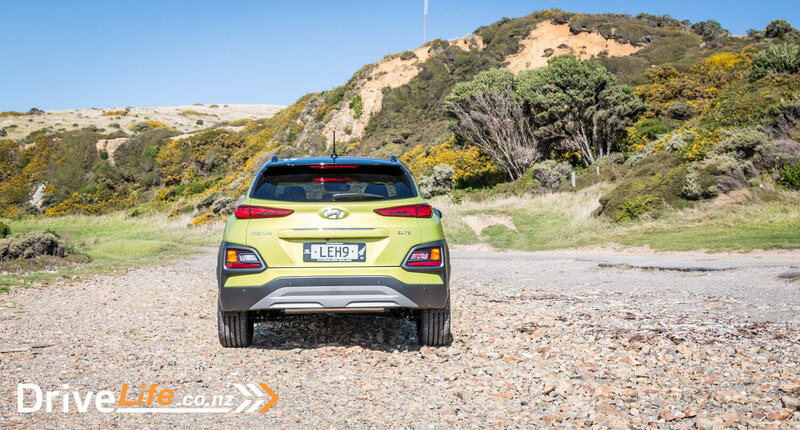 The yellow Kona photo was taken in Whitirea Park, Titahi Bay and it’s Mana Island in the background.